Our annual walk met with an obstacle akin to Gandalf declaring “you shall not pass!” But this was no wizard standing astride a flimsy bridge in the mines of Moria, but rather a herd of cattle with young calves giving us the eye in a narrow field – plus there was a bull in their too! Subsequent research suggests these cows were Charolais and hence not on the list of animals banned from being kept on public rights of ways. However, discretion being much the better part of valour we beat a retreat the way we came to take solace in the local hostelry! 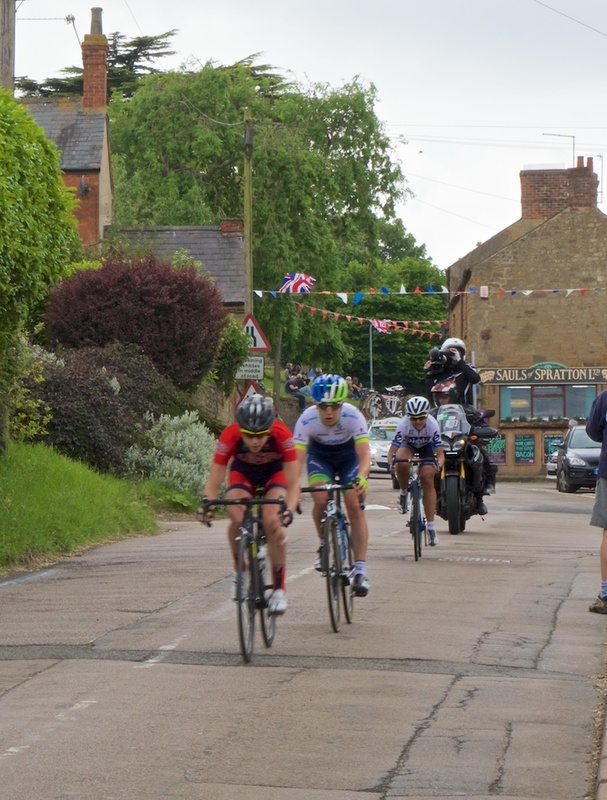 My thanks to all those members past and present who turned out to photograph and cheer on the Women’s Tour as it flashed through Spratton – they go a lot faster downhill! I look forward to seeing the best of your efforts in due course and hopefully we will make a show from them.